Three new, very reflective, bus parking signs have been installed at the Longstreet Tower parking lot on Seminary Ridge. 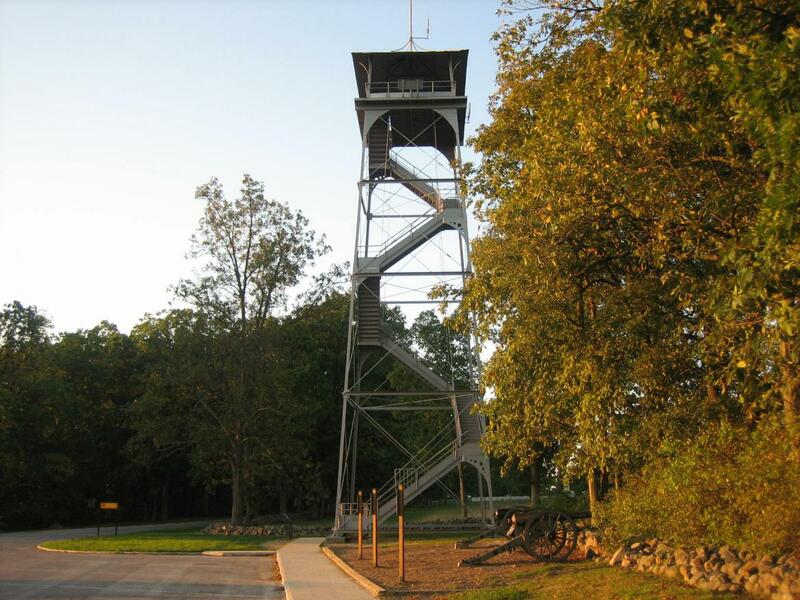 This view was taken from the northwest facing southeast at approximately 6:40 PM on Wednesday, September 17, 2008. New bus parking signs have been installed at the Longstreet Tower parking lot on Seminary Ridge. Previously, a bus symbol had been painted on the asphalt of each lane, but they have been worn away for a long time. 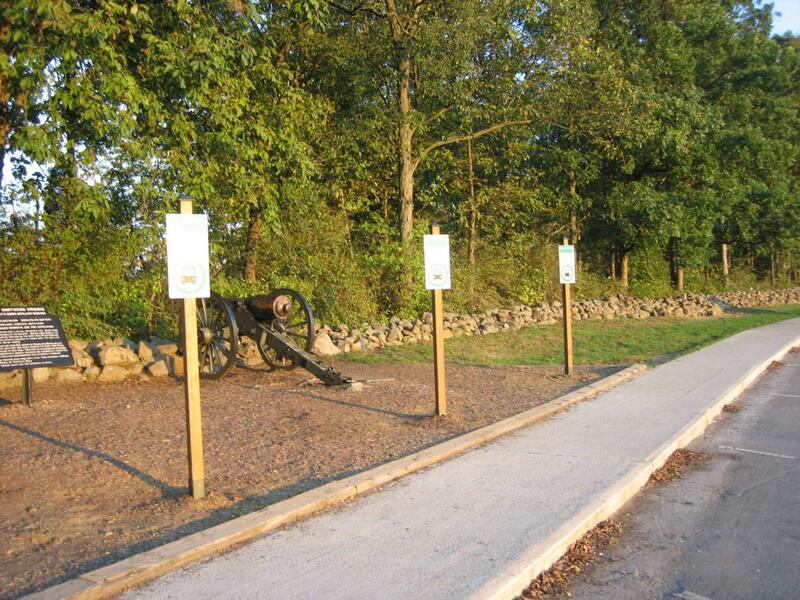 The individuals most happy with this change will be Licensed Battlefield Guides, who this spring had a difficult time parking tour buses in the slots that had been occupied by passenger vehicles. Previously, a bus symbol had been painted on the asphalt of each lane, but they have been worn away for a long time. This view was taken from the northwest facing southeast at approximately 6:40 PM on Wednesday, September 17, 2008. The bus parking spaces are the three closest to the tower. This view was taken from the south facing north at approximately 6:40 PM on Wednesday, September 17, 2008. 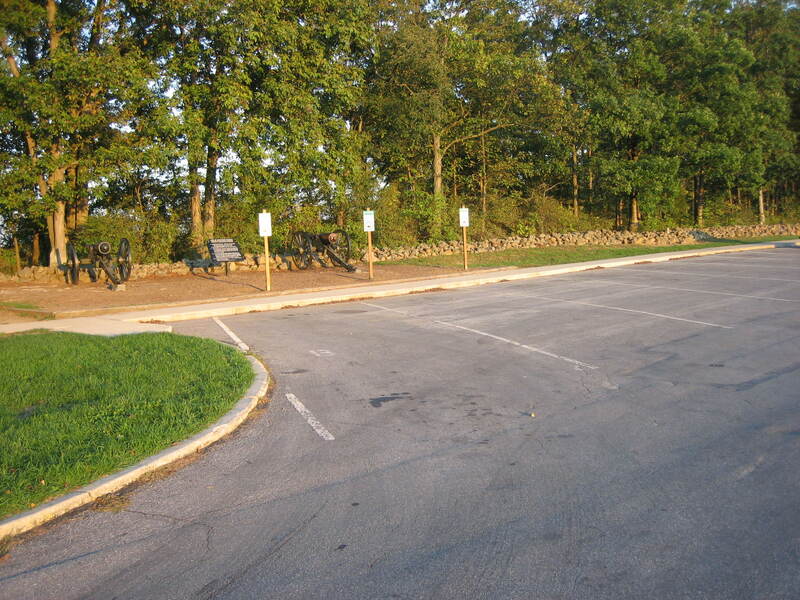 There are still plenty of passenger vehicle parking spaces available. This view was taken from the northwest facing southeast at approximately 6:40 PM on Wednesday, September 17, 2008. We went back in an attempt to get a good picture of the sign without a reflection. This view was taken from the northwest facing southeast at approximately 8:15 PM on Wednesday, September 17, 2008. 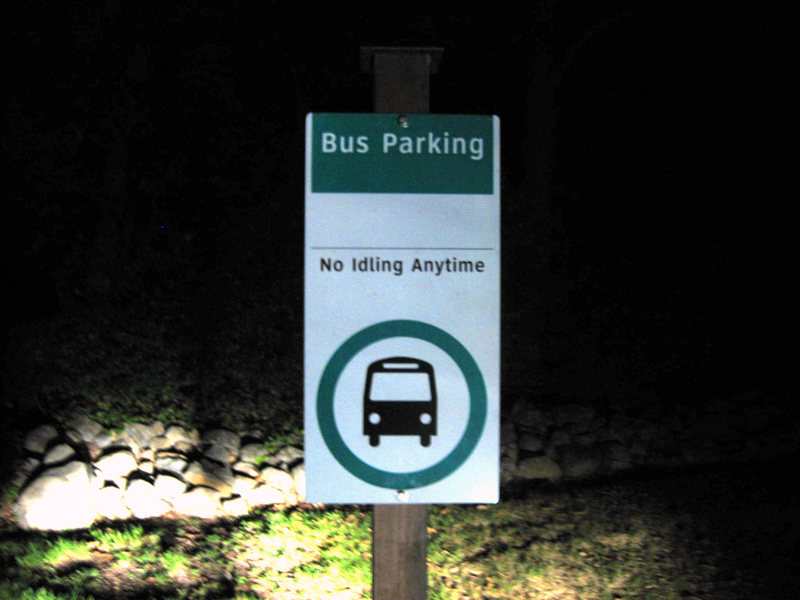 There aren’t too many bus parking signs in the park. 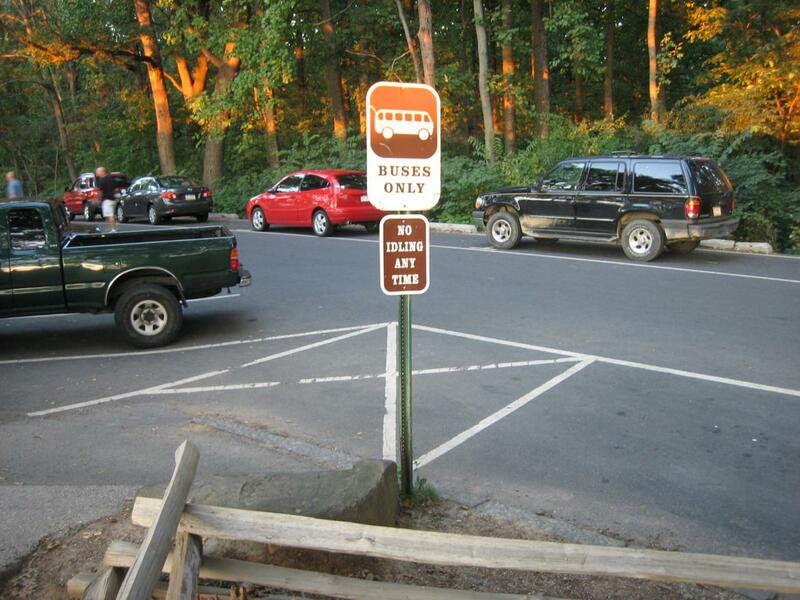 Here’s one at the only bus parking spot on Little Round Top. 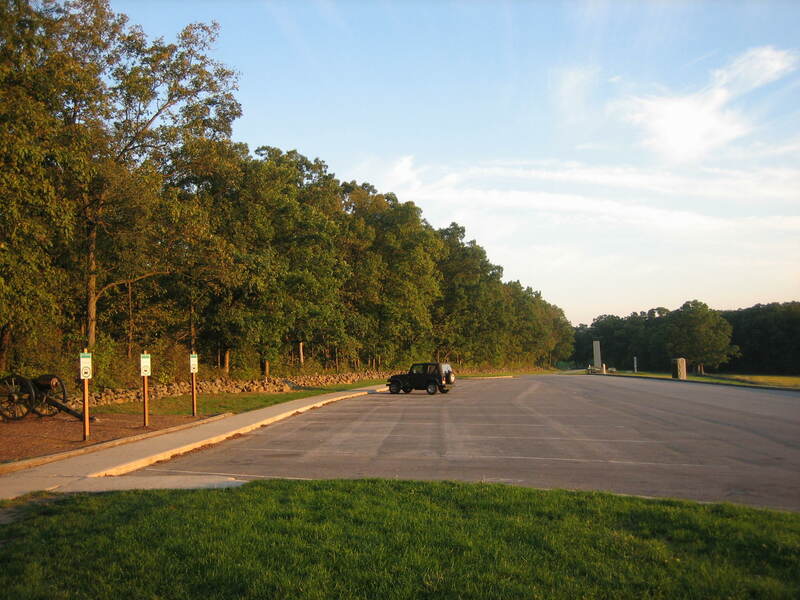 This view was taken from the southwest facing northeast at approximately 6:40 PM on Wednesday, September 17, 2008.